Australia Awards in Indonesia invites professionals who work in the renewable energy sector to join the Renewable Energy Technologies in Eastern Indonesia Short Term Award.This short course aims to support the Indonesian government's plan to ensure that at least 23 percent of Indonesia's electricity comes from renewable sources in 2025, and is designed for 25 representatives from private companies, BUMN/D or NGOs that are engaged in renewable energy in Eastern Indonesia. 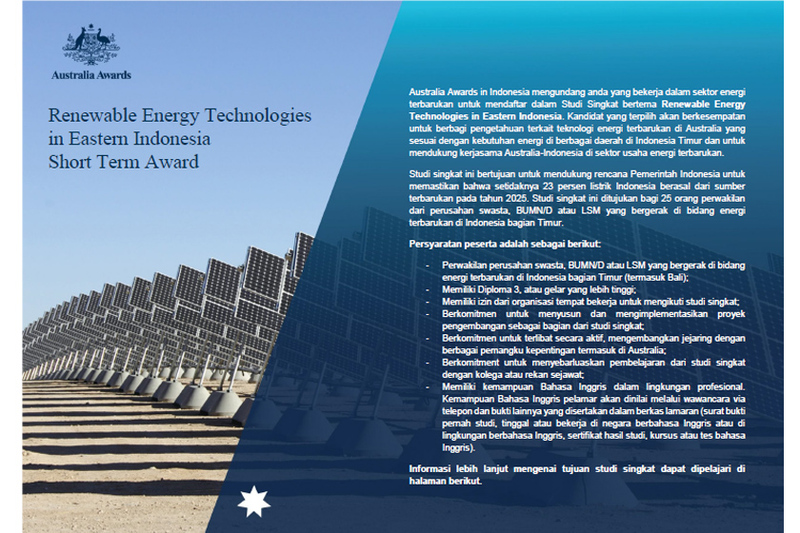 Please apply for this Short Term Award to contribute more to the renewable energy in Indonesia! All applicants are required to apply through this link. Deadline of application is on Tuesday, 30 April 2019 at 23.59 WIB. 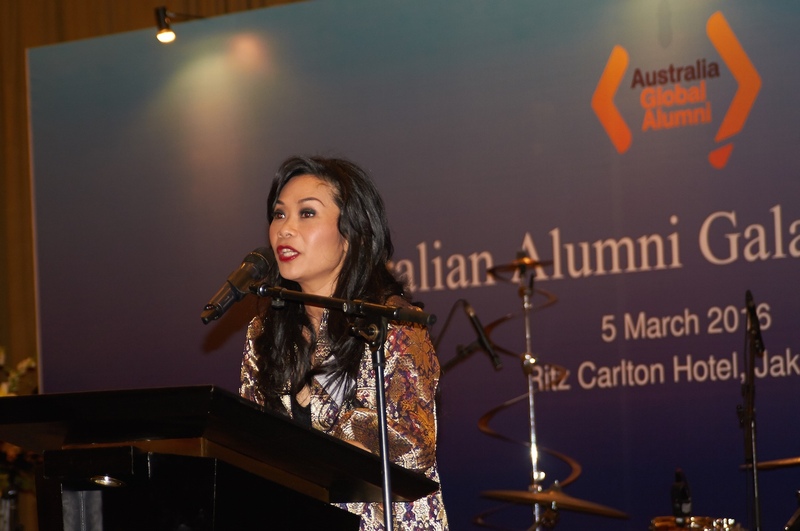 For more information, please contact shorttermawards@australiaawardsindonesia.org.